“The aim of the featured artist side is to elevate the “mix” format from the current “promo” framework – in a time when a 15-20 minute seamless stream of gathered sound has become its own genre of audio expression with the ability to rival, if not surpass, the artistic statement that is communicated in the traditional scheme of an EP/LP. 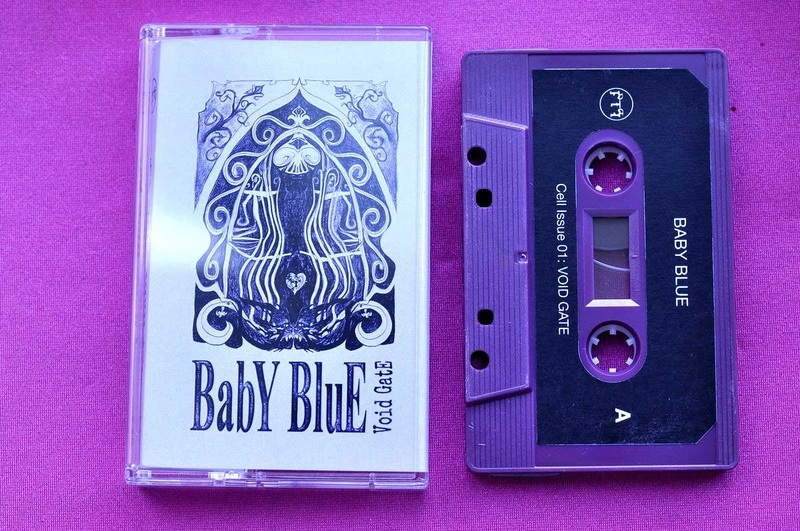 The physical element, CELL being housed on cassette tape, is utilized to further blur the lines between “release” and “free art as promotional fodder” – as well as to encourage frequency experimentation within the analog format. The B-side houses the issue of the zine which uses found clips mined from various corners of the internet to weave a patchwork narrative on controlled environments by means of surveillance (drones, NSA, etc. – how paranoia can govern the behavior of a populace) and the anti-“knowledge of self” schema perpetuated by capitalistic world power regimes. Weaponized information for a “mind over mind” war. The concept of “healthy body, healthy mind” is also presented as a means of defense from other avenues of “control” (i.e. processed and sugary foods, fluoridated water supply, etc.). CELL explores this mantra through found clips of ASMR, pineal gland repair, other “new age” therapies/remedies, and a smoothie recipe by me (i’ve literally been perfecting a book of these for a GOOD WHILE now).